It’s not easy to find the place despite located in center of the city. Lack of information and phisically attached to the Yogyakarta’s Cultural Center (Taman Budaya Yogyakarta / TBY) building which has longer history cause it less known obviously. Museum Anak Kolong Tangga (‘The Under The Stairs’ museum) as the name implies, it is situated under the stairs of an auditorium. Relatively small, more like a warehouse than a museum. Not a good start. But a turning point in sight. The front face is like a waving hand. It invites anyone to come closer. Colorful paintings distingushes it among the white wall. Like a kid who don’t want to give up easily to attract the attention of the adults around him just to let them know he is there.Understandable likens this museum as a kid. Because the world of kids is the life of the museum. Get inside to see various collections and an awareness will born that the little kid is more than just real but also gives a meaning. With a donation four thousand rupiahs and an extra five thousand rupiahs to take a picture inside, the adults will fall silent and have a time travel back to their childhood. 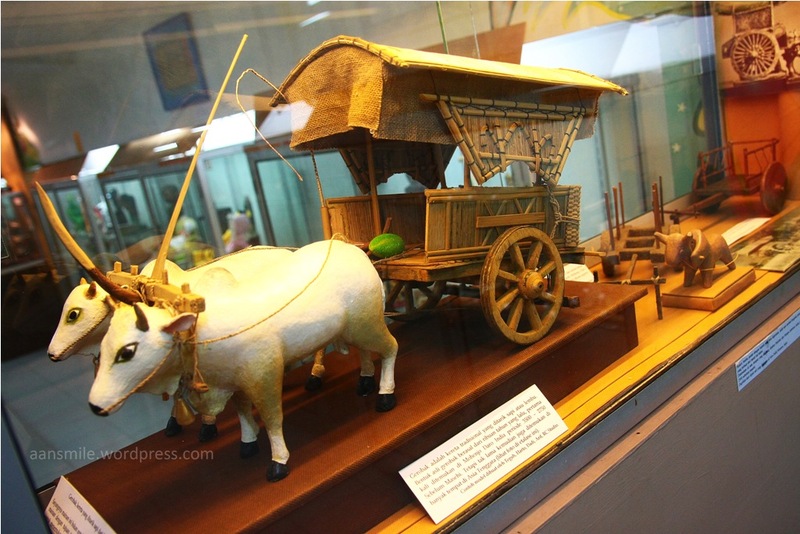 As a collection of bamboo and wooden toys, commonly called a gasing and yoyo placed right in front of the entrance. 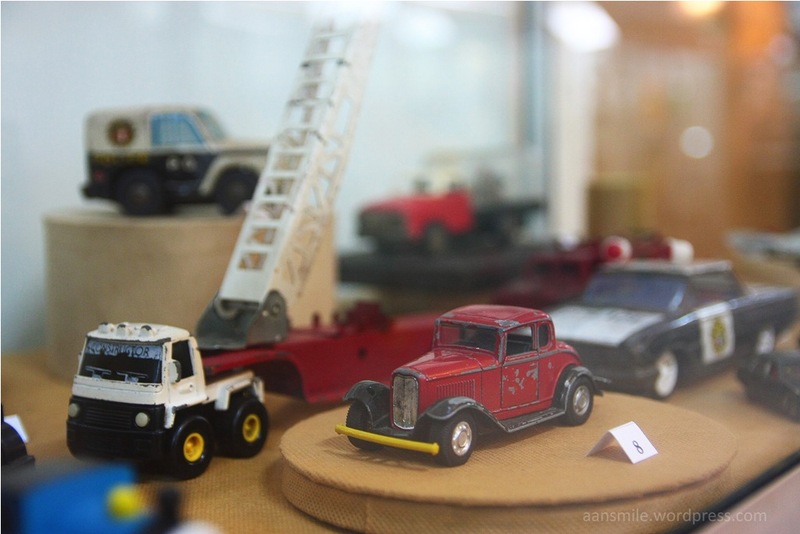 In other corner displayed many types of toy car which in its era making a boy ignoring his mother’s words. 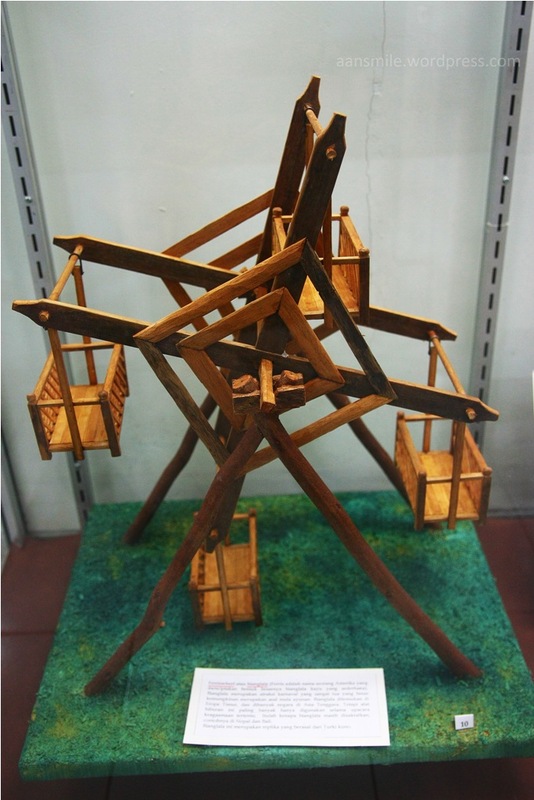 Dakon, a traditional Javanese game, made in 1952. 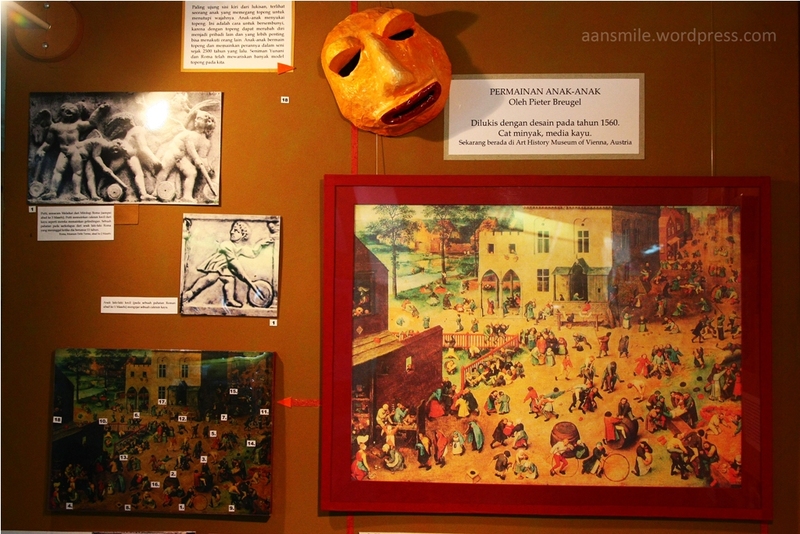 The museum was founded in 2008 by Rudi Corens in collaboration with Yayasan Dunia Damai (Peaceful World Foundation). 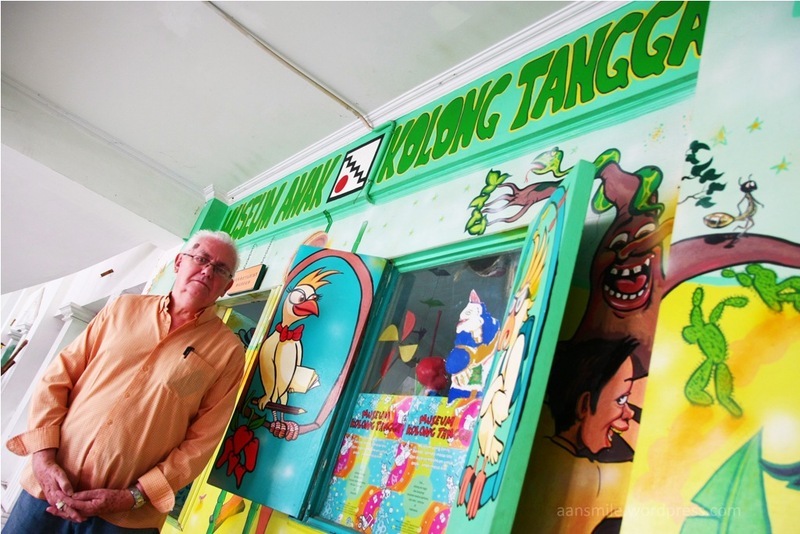 Rudi himself is a Belgian artist and a Yogyakarta long time resident since 1991. For the 81 years old man, the museum was established with the purpose not only as a preservation but also a means of education. According to the museum’s official catalog they started with Rudi Corens own collection of 3000 pieces. Today the Kolong Tangga’s counts more than 10,000 items of collection and documentation, both purchased and donated. However limited showroom cause less than half of it can be displayed. 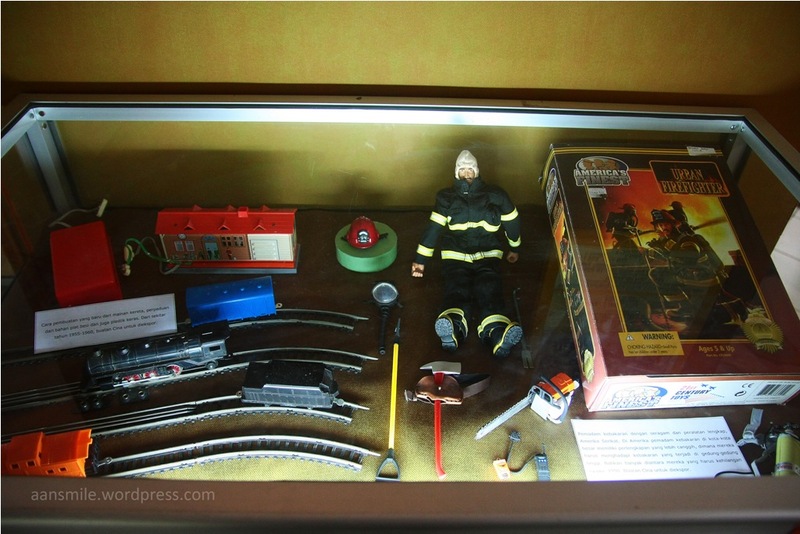 Even so the displayed collections are fairly complete and varied. 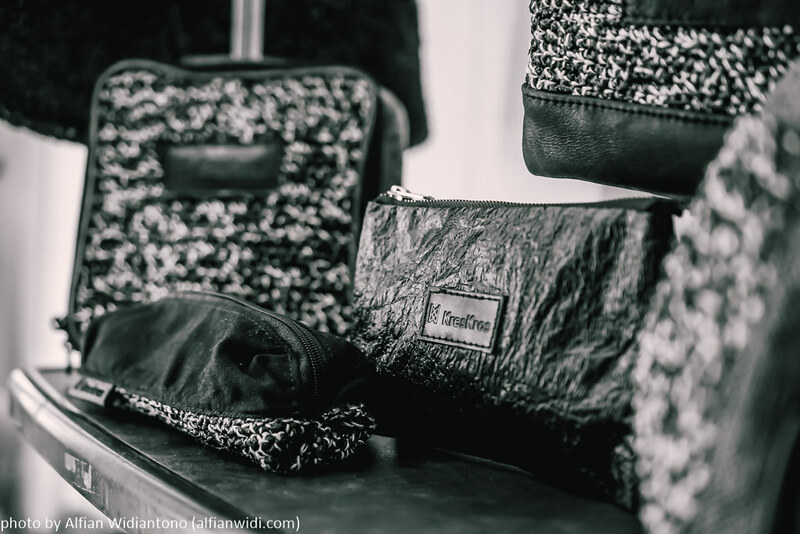 Transportation, clothes, furniture, cooking tools, robots, musical instruments and many more. A toy can bring so much learning. The kids perhaps only see the fun side of it. But thanks to the note that accompanying each collection many information and knowledge can be obtained. The geographical aspect for instance. Types of toys are so influenced by the surroundings. Kids who live near the sea or river commonly has a water-themed toys. For example a collection of photographic documentation taken in 1912 in Egypt depicting some boys making toy called ‘Felouk’ or sailboat which generally use to cross the Nile. Meanwhile the city’s kids have a modern toys such as trains, planes and the like. Socio-cultural aspect also has the effects. 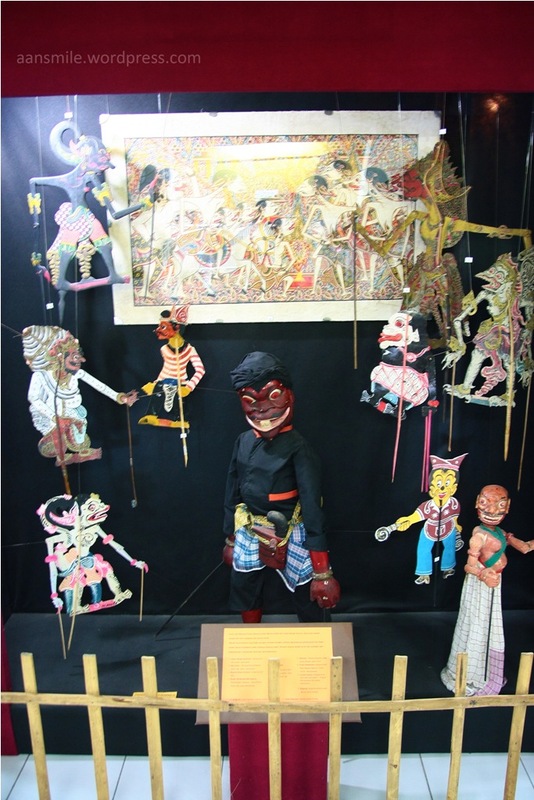 Dolls with Javanese traditional costume are commonly played by kids live in areas with a pronounced Javanese culture. 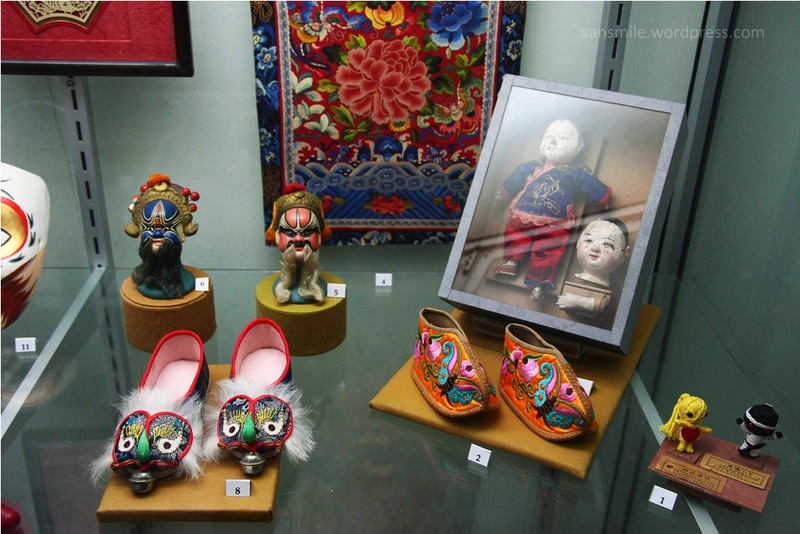 One of the collections displayed in the center area of the museum also shows the influence of religion. A mask called ‘Morionos’ made of wood and chicken or bird feather decoration. 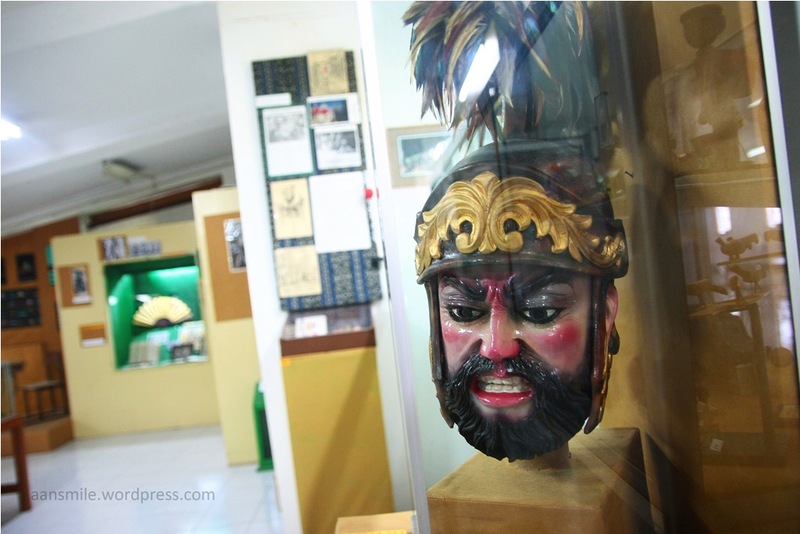 The mask comes from the island of Luzon, Philippines, is commonly used in Catholic religious drama that takes place annually every Easter as a representation of the Roman army. As is known Philippines is a very a catholic country. 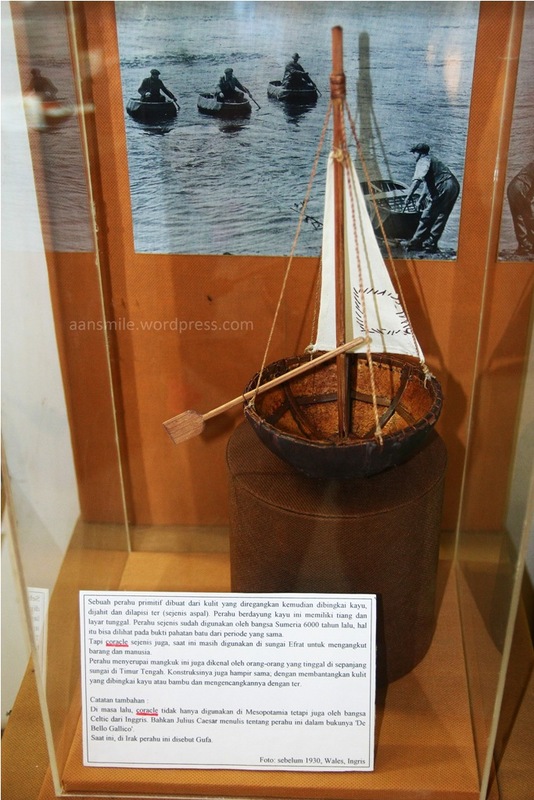 Primitive boat toy made of leather and wood framed. The real ones used by the Sumerian 6000 years ago. 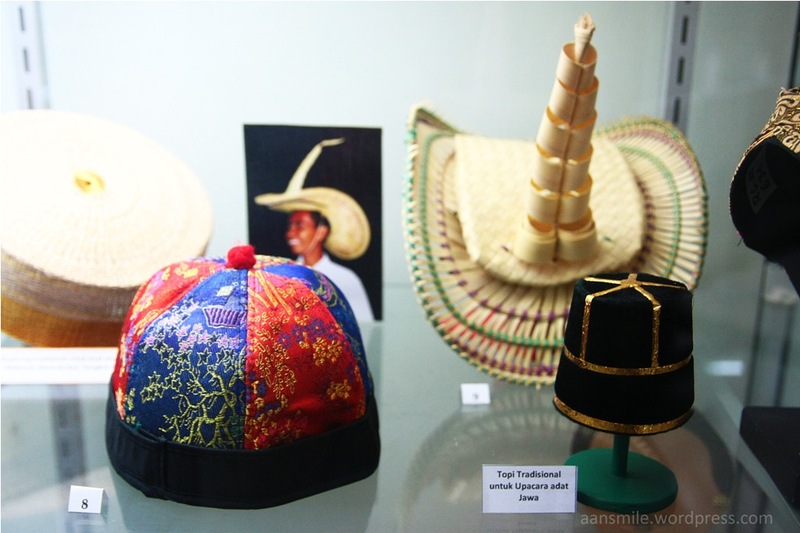 Indonesian traditional hat for kids. 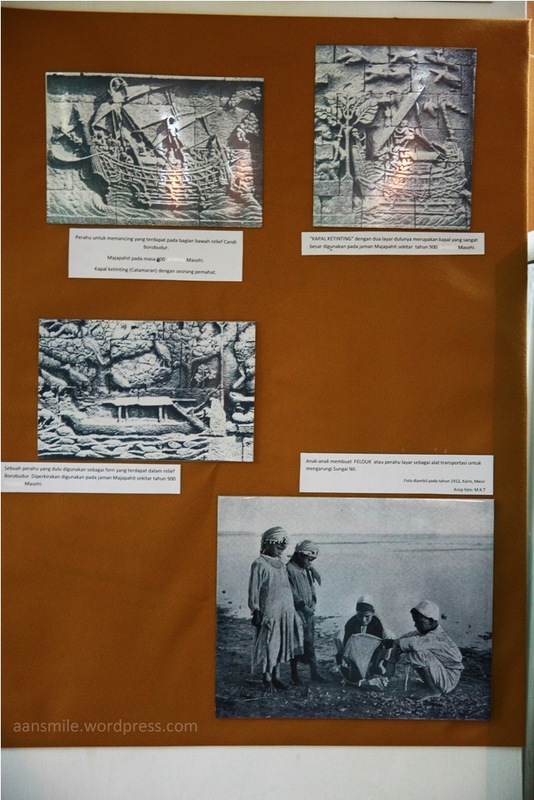 Documentations showing the various traditional games. 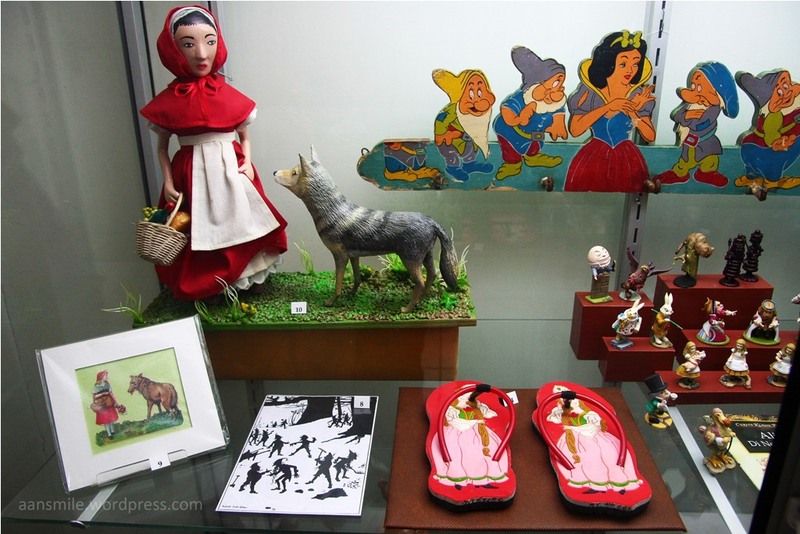 Interestingly Kolong Tangga has so rich collection of Indonesian and non-Indonesian folktoys as well as it has a diverse toy themes. 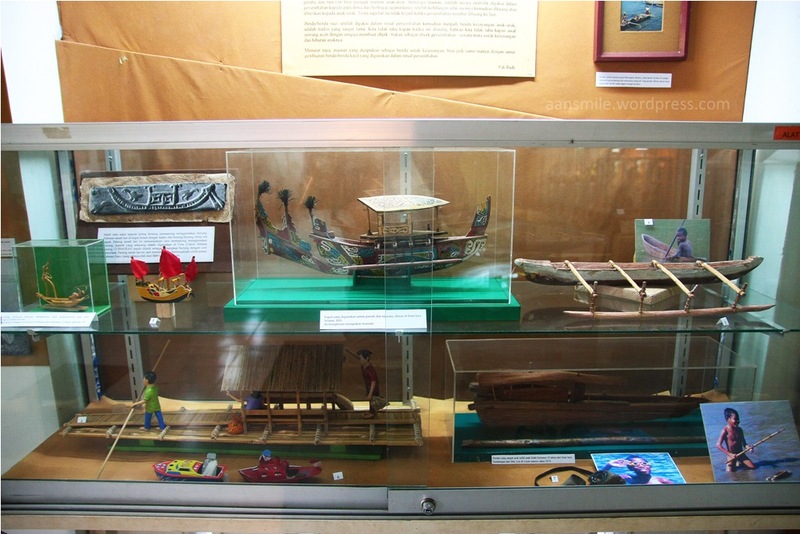 Othok-othok boats, puppets, national patterned fabrics, dakon, traditional baby carrier from Dayak ethnic of Borneo, phallocarp from Dani ethnic of Papua are some of local collections. 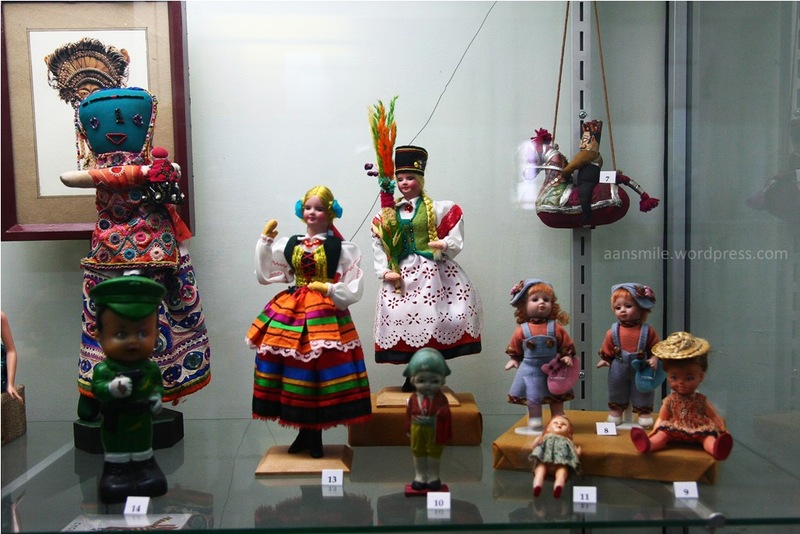 Polish traditinional costumed dolls, ragdoll from Mexico, “Chieftaintank” heavy tank models from England, “Radjastanthi” horseman model from India, “Urban Firefighter” doll figure from US, “Troll” doll from Norway are some of international collections which can be seen in the museum. 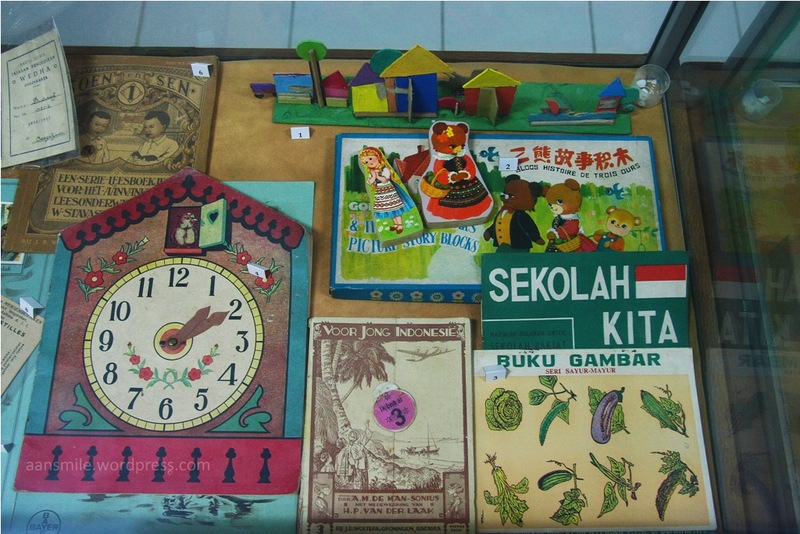 These various collections reflect the Kolong Tangga’s interest on the kid’s world in a wide scale. Not only the Indonesian kids but also from all over the world. Not only about how the kids playing but also about their cultural and daily lives in accordance respectively period. The combined background and experience become an important assets for Rudi in making the concept for his museum. He earned his art college at the Royal Academy of Arts, Belgium and still actively producing artwork of decoration in his studio, RC Studio in Yogyakarta. Rudi also has global experience for more than forty years of working with the youngsters in various fields especially arts and education. For Rudi a museum should be lively and colorful ideally. Rudi, who has served as director of the opera house in Belgium, designed the museum in a hope that two-way interaction would be emerged. 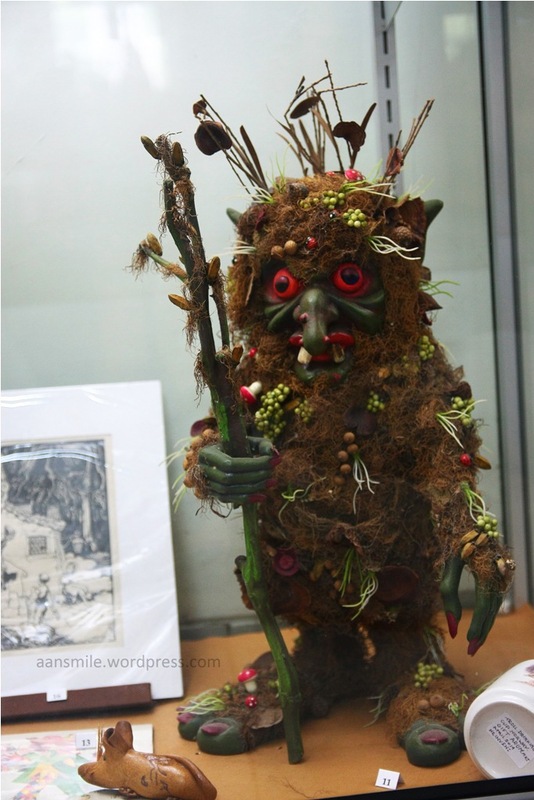 So he made a variety of interesting activities which able to improve the skills and knowledge such as storytelling, crafts, drawing workshops, etc. These activities can be participated by both kids and adults. 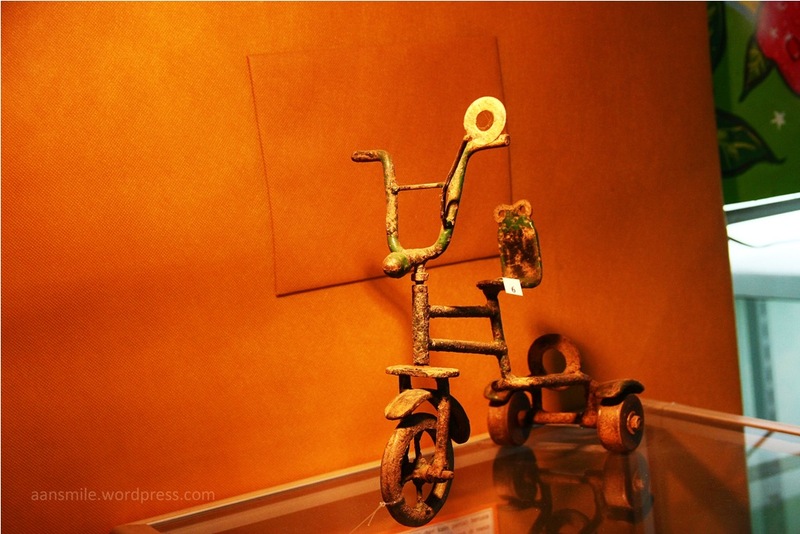 A bike and gokart made of wood. 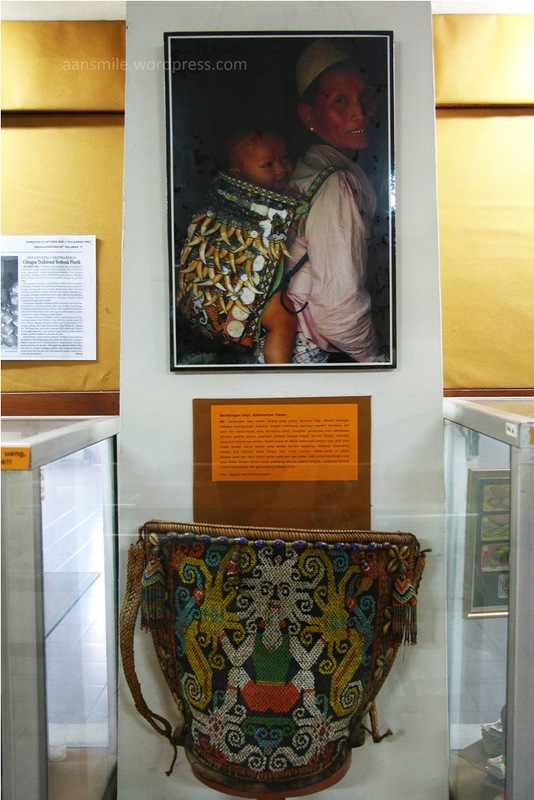 Traditional babycarrier from Dayak, Kalimantan (Borneo). 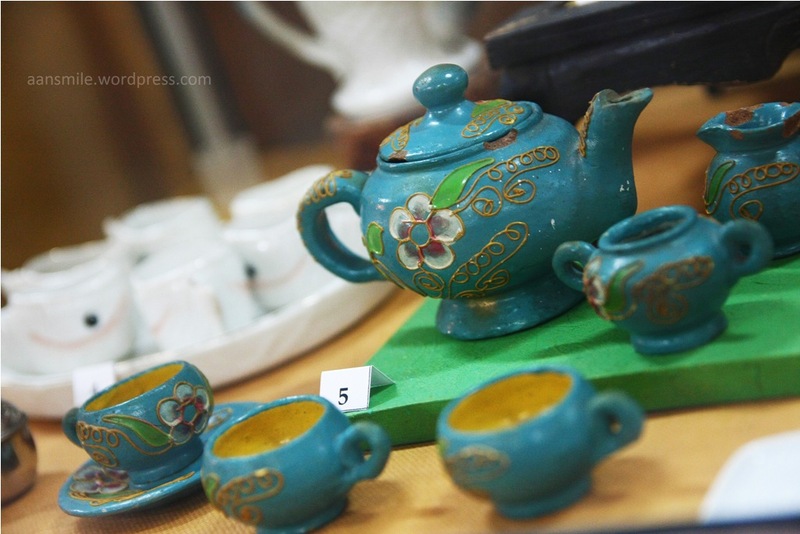 Tea set made of clay. Hand puppets from various country. Last but not least, another reason was the social responsibility. Rudi have a big concern with the phenomenon that occurs in kids these days especially in Indonesia. How they are suffering by many things that seem not experienced by kids in the past. Gadgets which stealing the opportunity to socialize, losing the playground, uneducating TV shows, boring school, stressful lessons, selfish parents and much more. 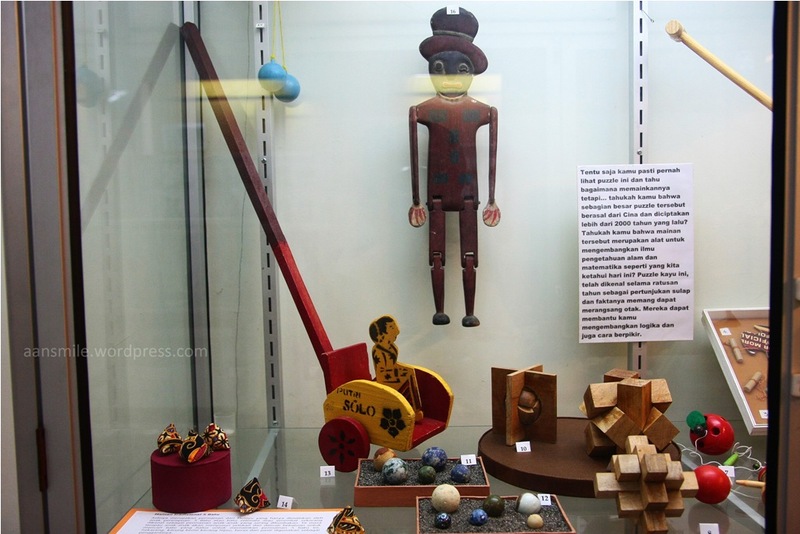 By means the collections, Kolong Tangga wants to remind about the importance of playing. Because actually the kids will have a learn while they play. It have to admitted the simple folktoys are more capable to make kids more active and creative. 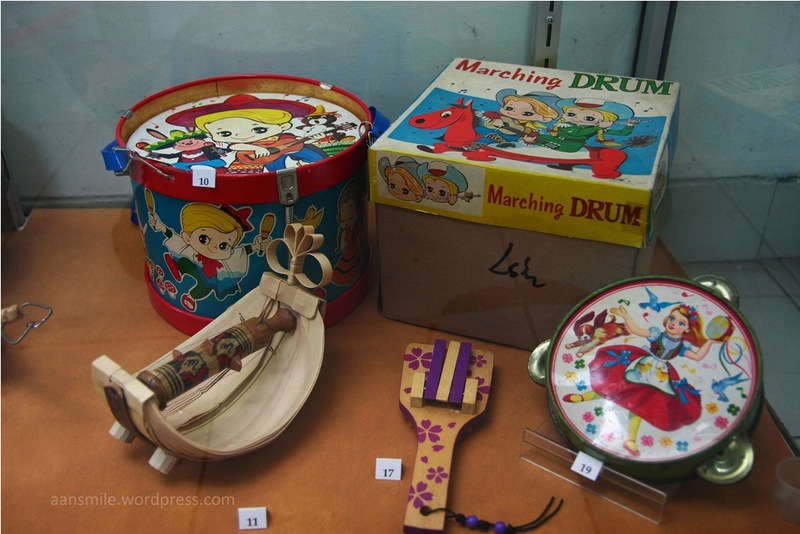 Wheeled stick and various puzzle toys. 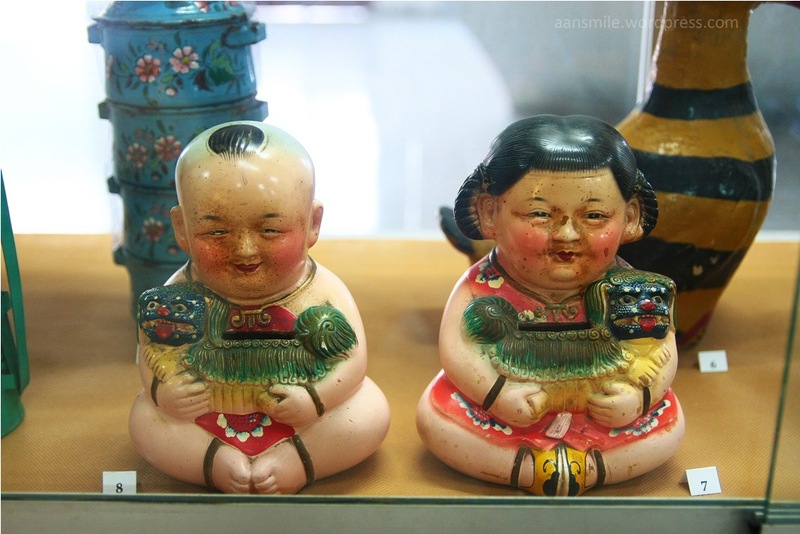 A pair of fashion doll made of porcelain from China. Masak-masakan, cookware toy made in Indonesia. 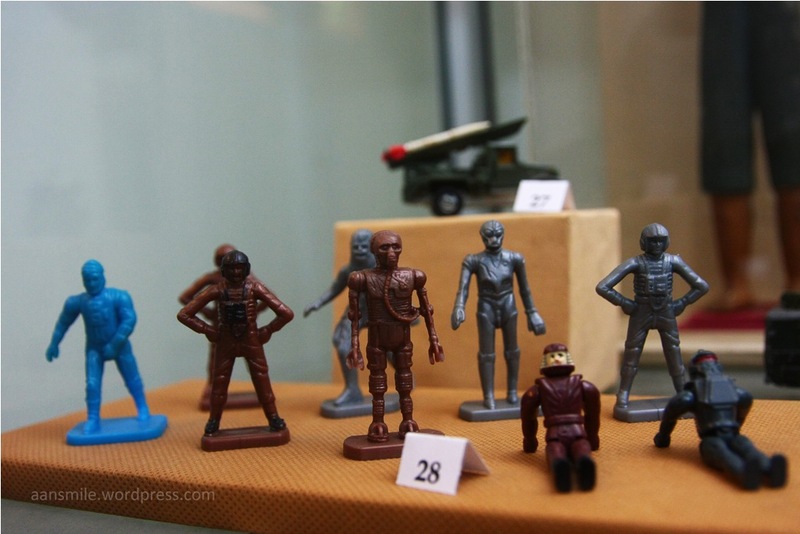 Transportation toys made of tin from Europe. 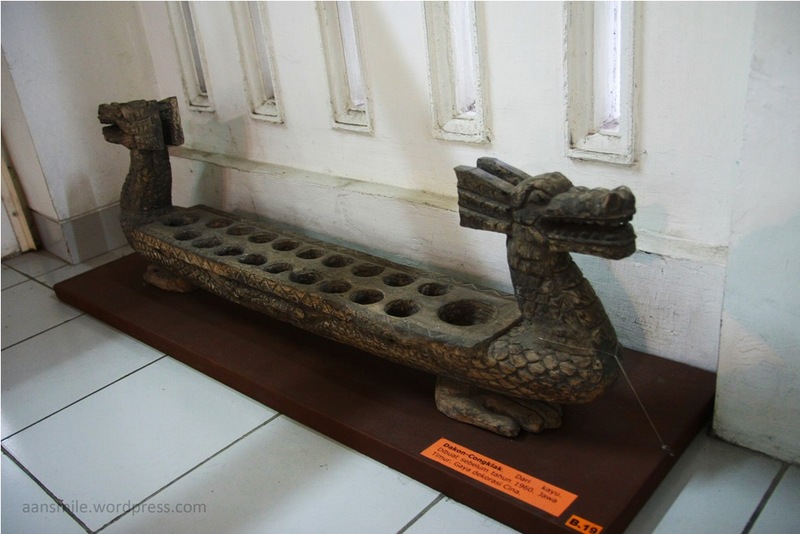 There is particular reasons why the museum was founded in Yogyakarta. The same reason why Rudi chose the city as a place to live and work. The city is fairly quiet and calm for standard of a big city as well as it has a tangible atmosphere of education and culture. Although inhabited by the multi-ethnic from all over Indonesia but the original Javanese culture is still very pronounced while the other culture are well accepted at the same time. In fact thanks to the creativity of the some of its citizens those culture can be combined together and become an inspiration to work. The city is rich yet humble. This feature is also transformed by Rudi to the museum. 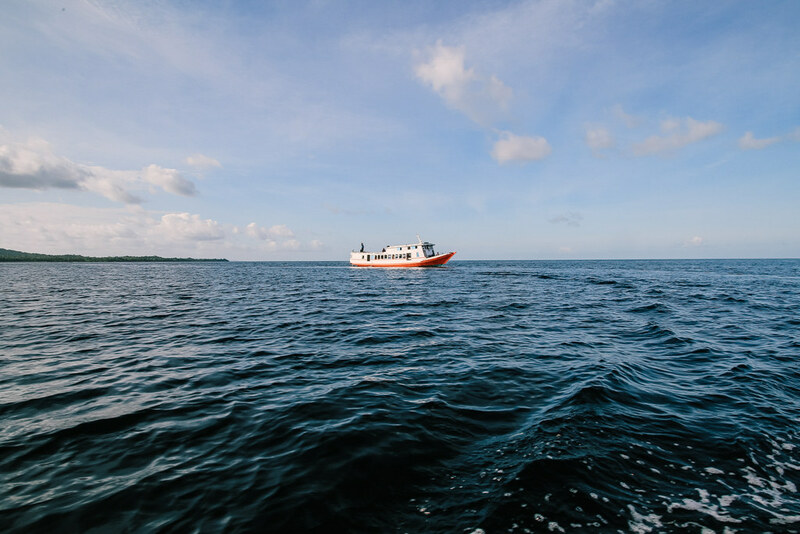 Various things found in Kolong Tangga are able to provoke a lot of questions for visitors which are considered as a good matter. Unable to raise an interesting question, a museum is not a museum but a warehouse without meaning. Tak mudah menemukan tempat ini walau terletak di tengah kota. Informasi belum banyak dan lokasinya menumpang bangunan Taman Budaya Yogyakarta (TBY) yang telah lama berdiri jelas membuatnya kalah populer. 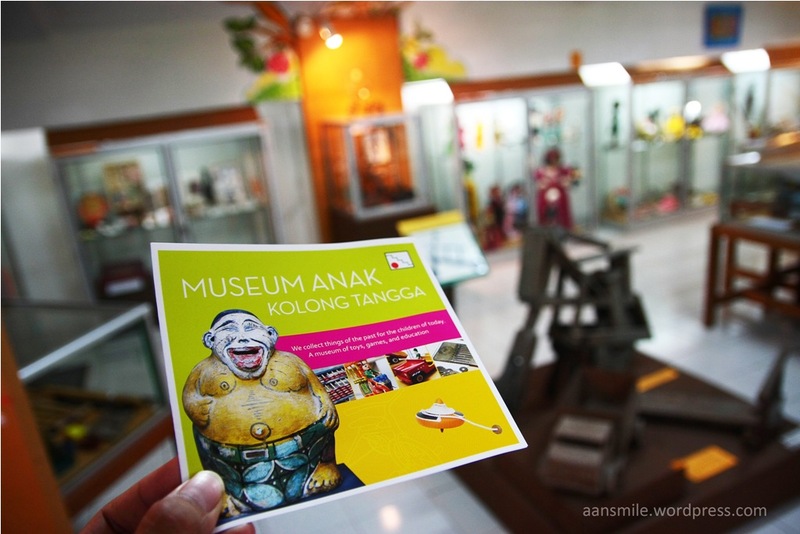 Museum Anak Kolong Tangga, sesuai namanya, museum ini terletak di bawah kolong tangga auditorium pertunjukan TBY. 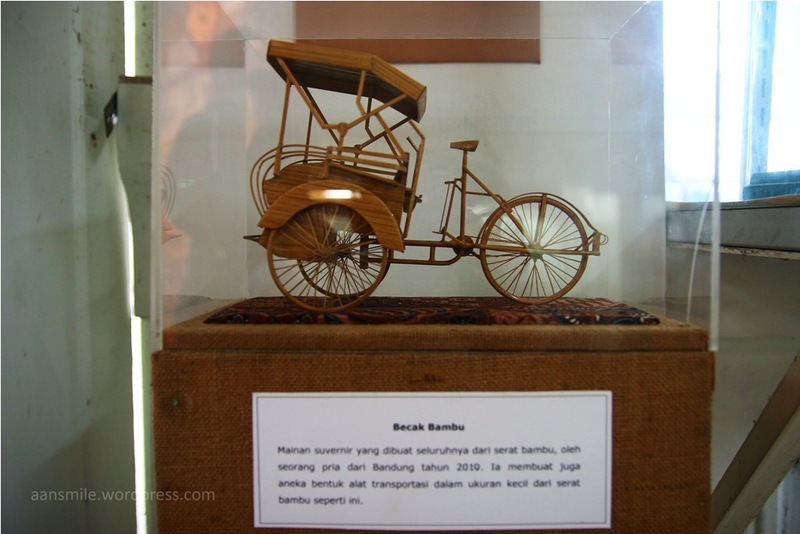 Ruangannya relatif kecil, lebih cocok sebagai gudang daripada museum. Awal yang kurang menguntungkan. Namun sebuah titik balik terlihat. Wajah depan museum ini seperti lambaian tangan yang mengajak untuk mendekat. Guratan kuas warna-warni menjadi pembeda diantara tembok putih. Ibarat seorang anak kecil yang tak mau menyerah begitu saja menarik perhatian orang dewasa di sekitarnya hanya untuk sekedar memberi tahu bahwa ia ada dan nyata. 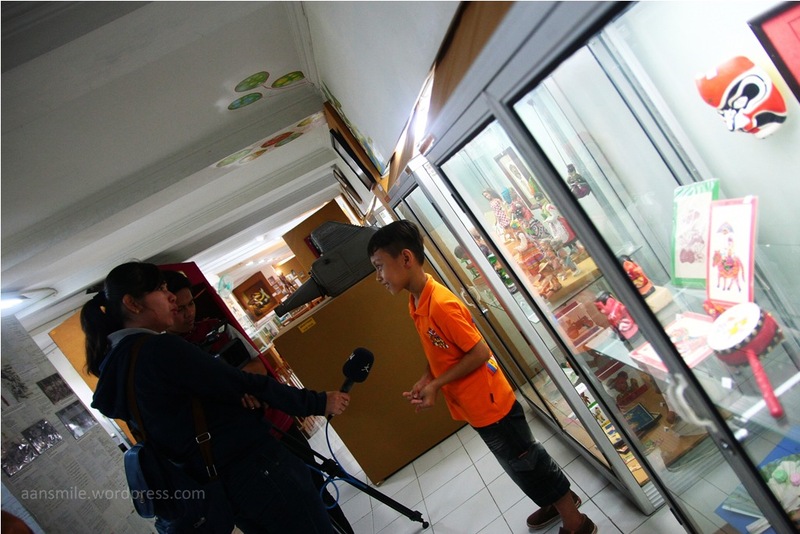 Tak berlebihan mengibaratkan museum ini seperti seorang anak. Karena dunia anak adalah nyawa museum ini. Masuklah ke dalam untuk melihat berbagai koleksi dan sebuah kesadaran akan terlahir bahwa si anak kecil ini lebih dari sekedar nyata tapi juga memberi makna. Dengan donasi empat ribu rupiah dan tambahan lima ribu rupiah jika ingin mengambil gambar maka para orang dewasa akan terdiam sejenak lalu melakukan sebuah perjalanan waktu kembali ke masa kecil mereka. 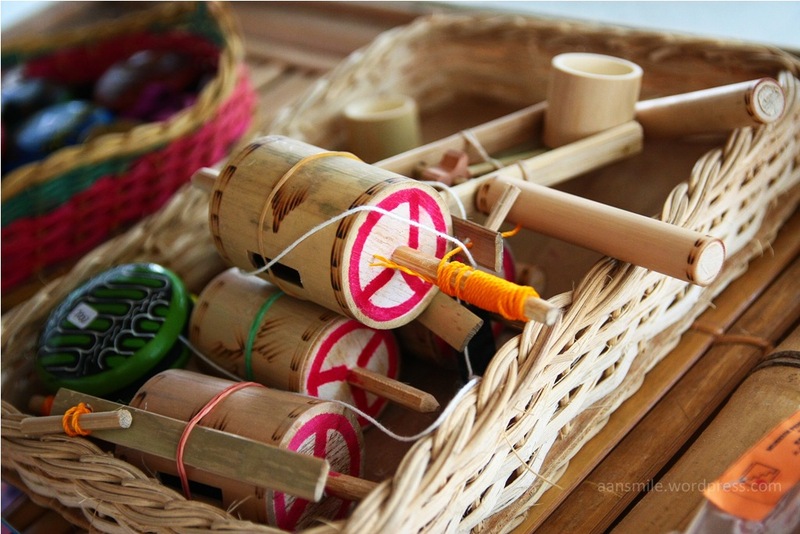 Seperti koleksi mainan dari bambu dan kayu lazim disebut gasing dan yoyo yang diletakkan tepat di depan pintu masuk. Di salah satu sudut terpajang aneka mainan kendaraan yang di masanya membuat bocah lelaki mengabaikan perintah ibunya. 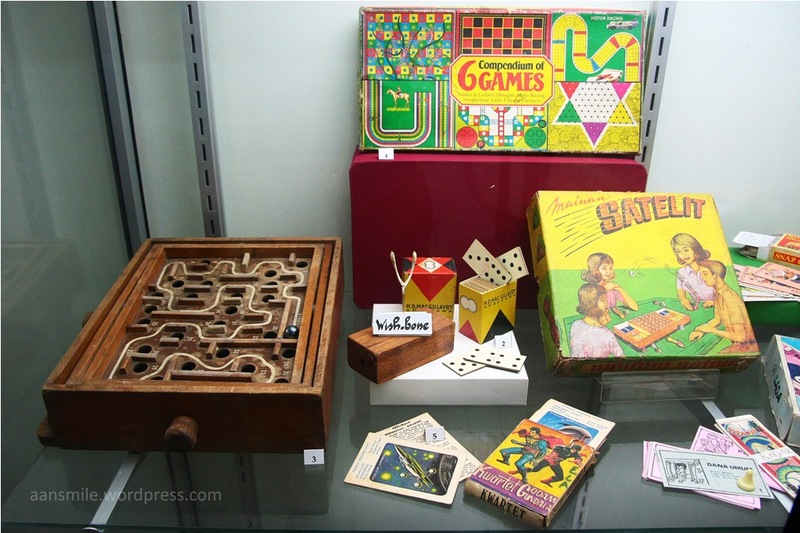 Card and board game, most from Europe. 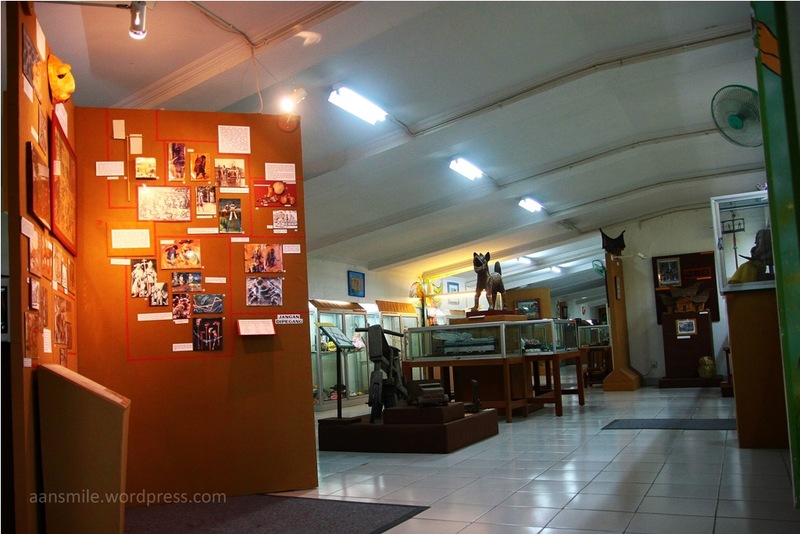 Museum ini didirikan pada tahun 2008 oleh Rudi Corens, seorang seniman asal Belgia yang tinggal di Yogyakarta sejak tahun 1991 dan bekerja sama dengan Yayasan Dunia Damai. Bagi pria 81 tahun ini, Kolong Tangga didirikan dengan tujuan bukan hanya sebagai wujud pelestarian benda masa lalu namun juga merupakan sarana edukasi. 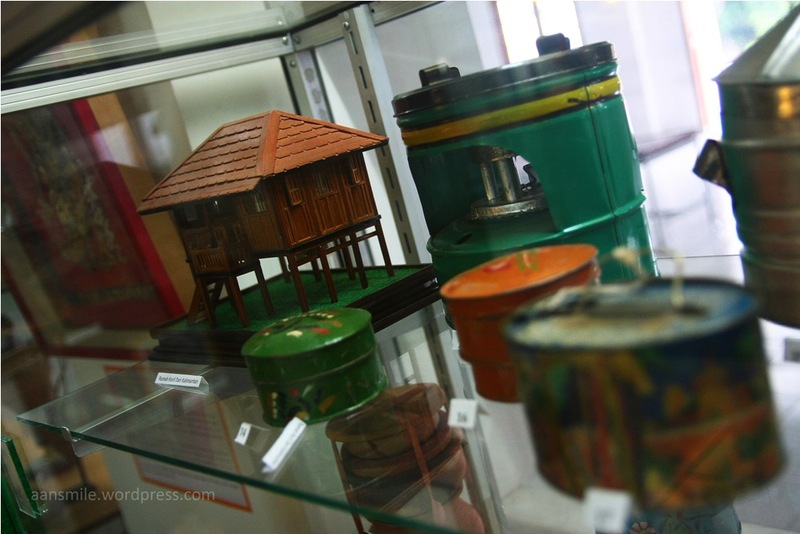 Berdasarkan katalog yang diterbitkan pengelola museum, awalnya mereka hanya memiliki 3000 koleksi yang mana semuanya adalah milik pribadi Rudi Corens. 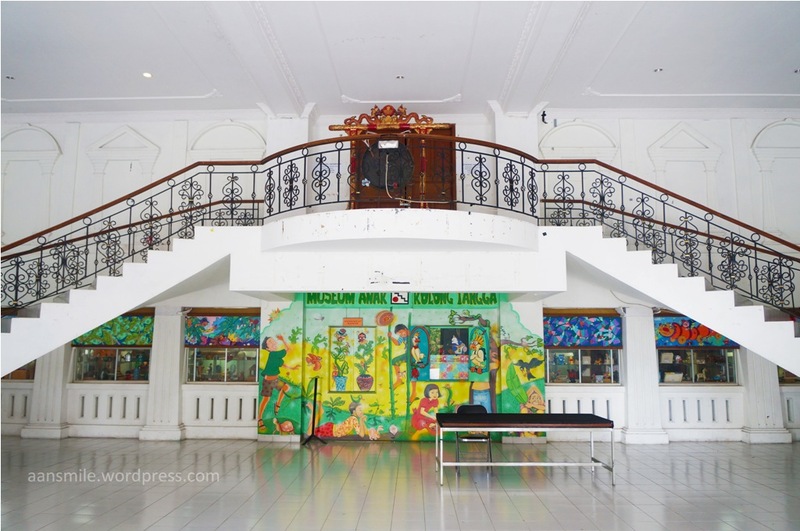 Kini museum ini memiliki lebih dari 10.000 buah koleksi permainan dan dokumentasi yang berasal dari pembelian maupun sumbangan. Namun karena terbatasnya ruangan menyebabkan kurang dari setengahnya saja yang bisa ditampilkan. Walau demikian koleksi yang ditampilkan cukup lengkap dan bervariasi. Mulai dari alat transportasi, baju, perabot, alat memasak, robot, alat musik dan masih banyak lagi. Sebuah mainan dapat memunculkan begitu banyak pembelajaran. Anak-anak mungkin akan melihat sisi kesenangannya saja. Namun aneka pengetahuan juga tergali berkat tulisan keterangan yang menyertai tiap koleksi. Dari aspek geografi misalnya. Jenis mainan sangat dipengaruhi oleh kondisi linkungan. Anak-anak yang hidup dekat laut atau sungai umumnya memiliki mainan yang bertema air. Sebagai contoh sebuah koleksi dokumentasi foto yang diambil pada tahun 1912 di Mesir menunjukkan beberapa anak membuat mainan ‘Felouk’ atau perahu layar yang lazim digunakan untuk mengarungi Sungai Nil. Sedangkan anak-anak kota umumnya memiliki mainan yang lebih moderen seperti mainan kereta, pesawat dan sejenisnya. Aspek sosial budaya juga ikut menyumbang pengaruh. Boneka dengan pakaian adat jawa umum dimainkan oleh anak-anak yang tinggal di daerah dengan budaya jawa yang kental. Salah satu koleksi lainnya yang dipajang di ruang tengah museum juga menunjukkan pengaruh agama yang begitu kuat. Sebuah topeng ‘Morionos’ yang terbuat dari kayu dan hiasan bulu ayam. Topeng yang berasal dari Pulau Luzon, Filipina ini biasa digunakan pada drama reliji Katolik yang diadakan setiap hari raya Paskah sebagai representasi tentara Romawi. Seperti diketahui Filipina adalah negara yang sangat bernuansa Katolik. 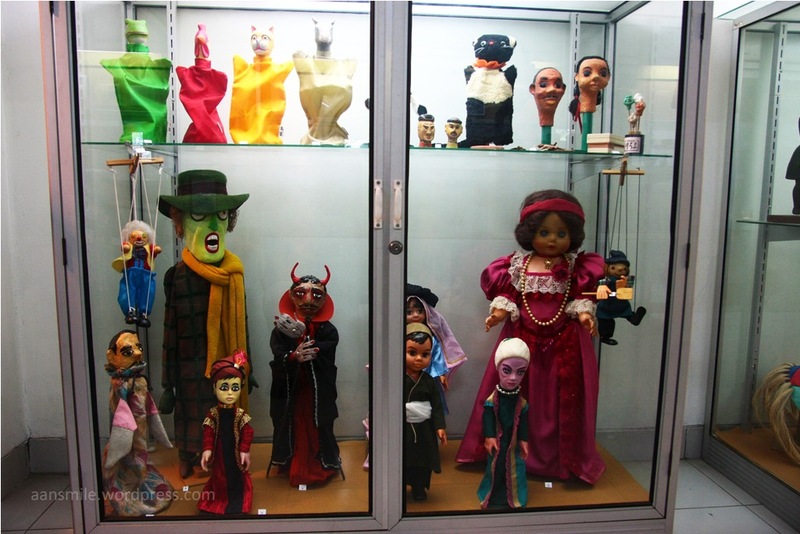 Dolls with various international costume. Kingdom of toy from Japan and China. A pair of doll serves as a talisman from Kongo. The Morionos mask from Philipines. Yang menarik selain keberagaman tema permainan, Kolong Tangga tak hanya menghadirkan koleksi yang berasal dari Indonesia tapi juga yang berasal dari luar negeri dalam jumlah banyak. Perahu othok-othok, boneka wayang, pakaian anak bermotif kain nusantara, dakon, gendongan anak suku Dayak dari Kalimantan, koteka suku Dani dari Papua adalah beberapa contoh koleksi lokal. Boneka berkostum nasional Polandia, ragdoll (boneka kain perca) dari Meksiko, model tank berat “Chieftaintank” buatan Inggris, model pengendara kuda “Radjastanthi” asal India, figur pemadam kebakaran “Urban Firefighter” asal Amerika, boneka “Troll” dari Norwegia adalah beberapa koleksi internasional yang dapat disaksikan di Kolong Tangga. 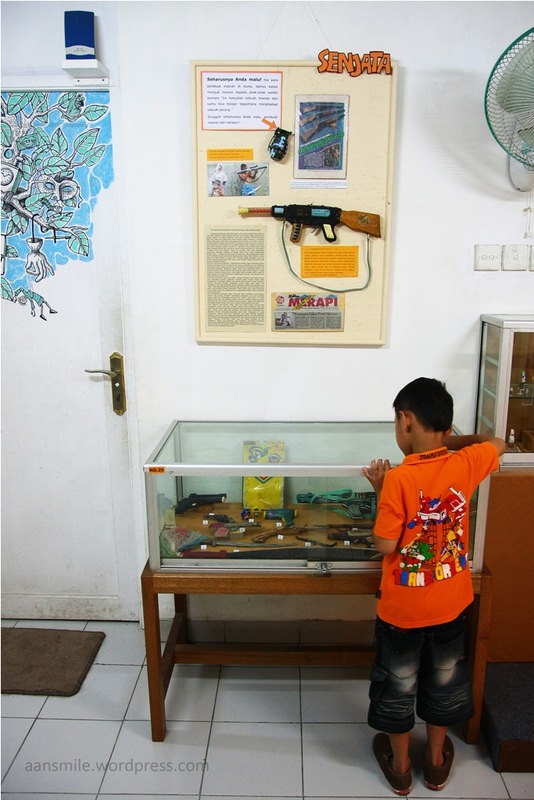 Aneka koleksi yang beraneka ragam ini menunjukkan ketertarikan museum ini pada dunia anak dalam cakupan yang lebih luas. Bukan hanya anak Indonesia tapi juga anak-anak dari seluruh dunia. Tak sekedar cara anak-anak bermain namun juga tentang keseharian dan kehidupan berbudaya mereka sesuai eranya masing-masing. Gabungan latar belakang dan pengalaman yang dimiliki menjadi modal penting bagi Rudi dalam membuat konsep Museum Kolong Tangga. Ia pernah mengenyam pendidikan seni di Royal Academy of Arts, Belgia dan saat ini masih aktif menghasilkan karya dekorasi di studio miliknya, R.C Studio di Yogyakarta. Rudi juga memiliki pengalaman global selama lebih dari empat puluh tahun bekerja sama dengan anak muda di berbagai bidang terutama seni dan pendidikan. Bagi Rudi idealnya sebuah museum haruslah hidup dan berwarna. Rudi yang pernah menjabat direktur opera house di Belgia mendesain museum ini agar terjalin interaksi dua arah. Maka dibuatlah aneka kegiatan menarik yang dapat meningkatkan ketrampilan dan pengetahuan seperti pelatihan mendongeng, kerajinan tangan, lomba menggambar dan sejenisnya. Bermacam kegiatan ini dapat diikuti oleh anak- anak dan orang dewasa. 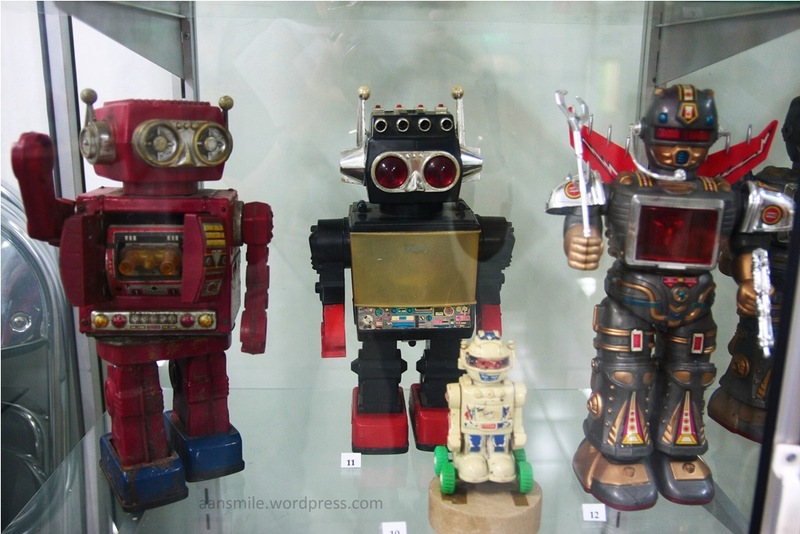 The 80’s and 90’s robot toys. 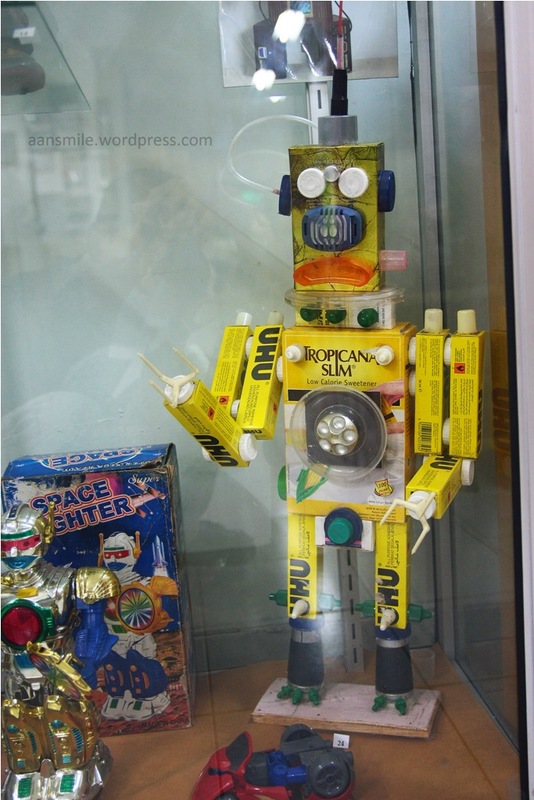 The Great Brain, a robot made from a variety of scrap materials, created in 2008 by an art student in Yogyakarta. Interviwed by the local TV. 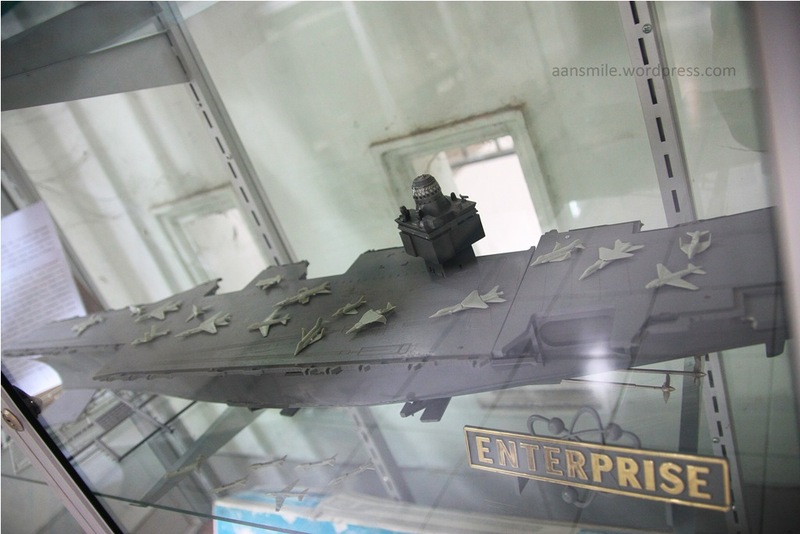 A model of USS Enterprise. Gasing, the Indonesian traditional spinning top. Rudi Corens and the museum. Alasan lain yang tak kalah penting yaitu tanggung jawab sosial. Rudi merasa prihatin dengan perkembangan dunia anak-anak belakangan ini khususnya di Indonesia. Betapa anak-anak sekarang terenggut dunianya oleh banyak hal yang sepertinya tidak dialami oleh anak-anak di masa lalu. 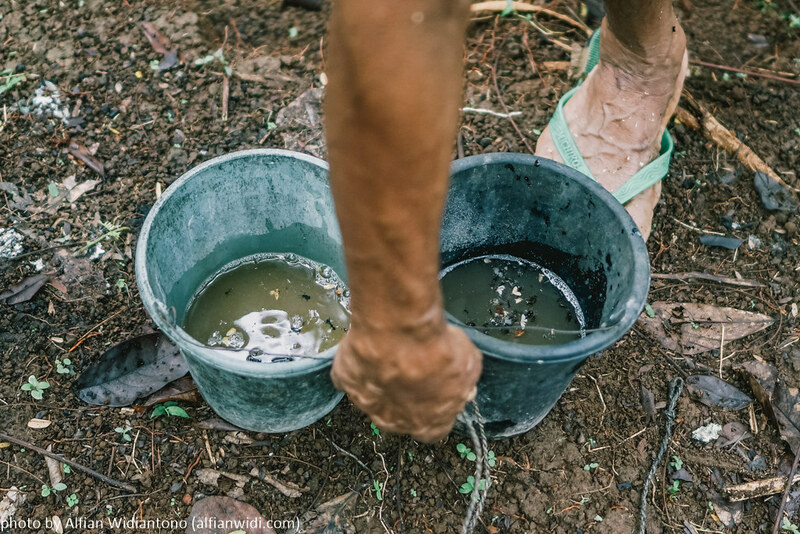 Gawai yang merampas kesempatan bersosialisasi, kehilangan tempat bermain, tontonan tak mendidik, sekolah yang membosankan, pelajaran yang membuat stres, orang tua yang egois dan masih banyak lagi. 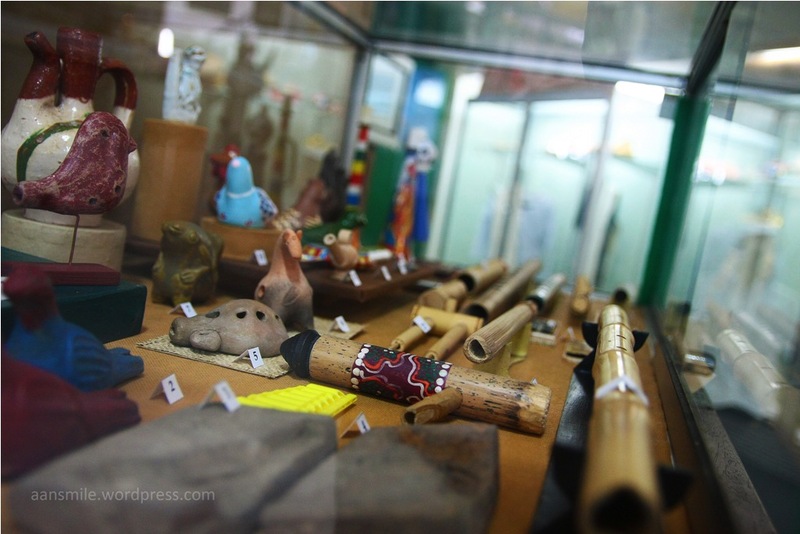 Melalui berbagai koleksinya, Museum Kolong Tangga seperti ingin mengingatkan kembali akan pentingnya bermain. Karena dengan bermain anak-anak sesungguhnya sedang belajar. 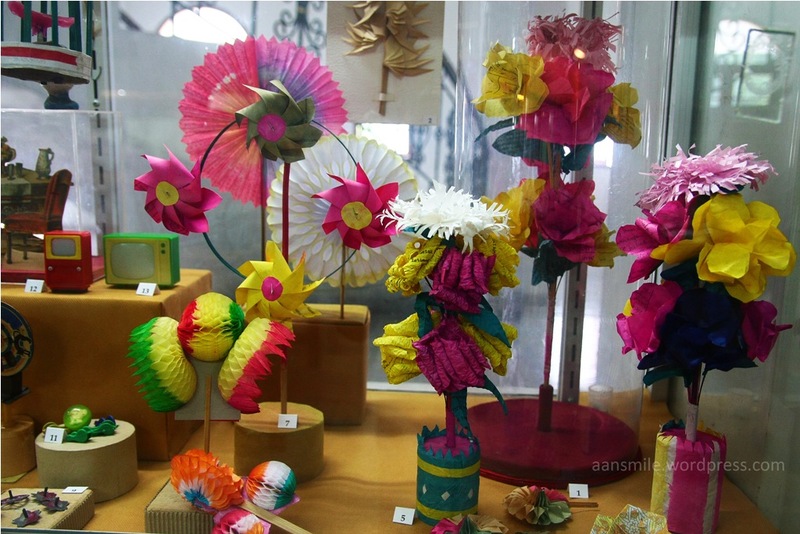 Harus diakui mainan tradisional yang sederhana itu justru mampu membuat anak-anak lebih aktif dan kreatif. 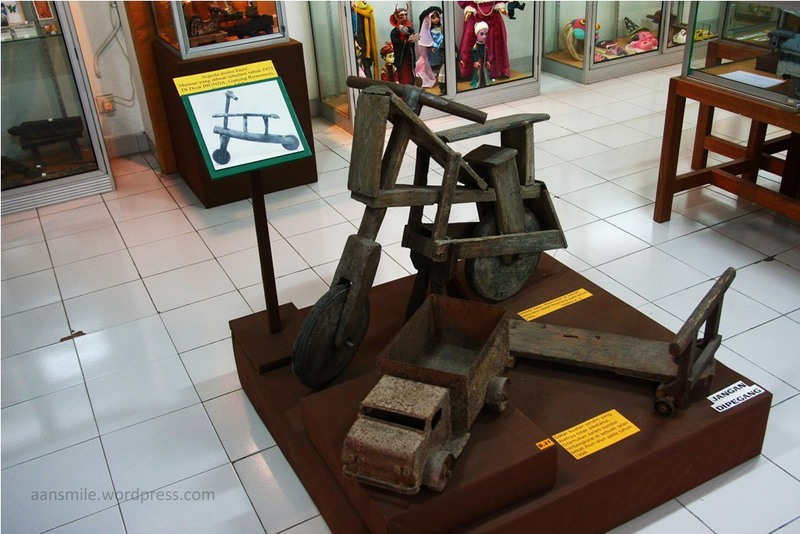 Ada alasan khusus kenapa museum ini didirikan di Kota Yogyakarta. Alasan yang sama kenapa Rudi memilih kota ini sebagai tempat tinggal dan berkarya. Selain relatif tenang untuk ukuran kota besar, Yogyakarta sangat kental akan suasana pendidikan dan budaya. Meskipun dihuni oleh orang-orang multi etnis dari seluruh Indonesia namun budaya Jawa asli masih sangat terasa dengan tetap menerima budaya pendatang. Bahkan berkat kreatifitas sebagian warganya budaya lokal dapat berpadu dengan budaya lain dan menjadi inspirasi untuk berkarya. Kota yang kaya namun rendah hati. Kekayaan inilah yang juga ditransformasikan oleh Rudi ke museumnya. Beragam hal yang ditemui di Museum Kolong Tangga mampu memancing banyak pertanyaan bagi pengunjungnya dan dianggap sebagai hal positif. 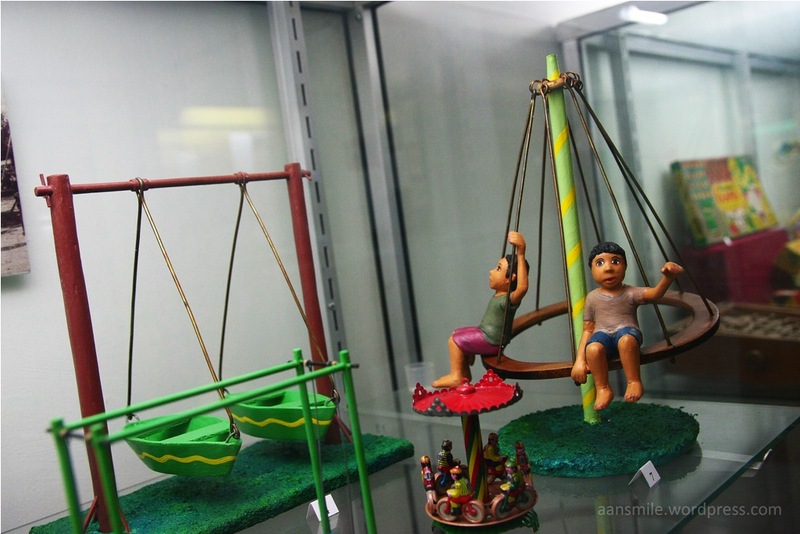 Karena museum yang tidak bisa memancing pertanyaan yang menarik bukanlah sebuah museum melainkan gudang tanpa arti. Sesungguhnya orang dewasa itu hanyalah anak kecil yang berganti mainan. Hoho2..
harga tiket masuk Museum kolong tangga utk dewasa adalah Rp.4000, donasi untuk mengambil gambar adalah sebesar Rp.5000 dan tambahan utk pembelian katalog/buku panduan adalah Rp.3000. Terimakasih.